We just came home from a magical trip to Disney World. After months of anticipation, the boys finally got to go for the first time and they LOVED it. The last time I was at Disney World was in 2003 which was well before I had kids — or a smart phone. 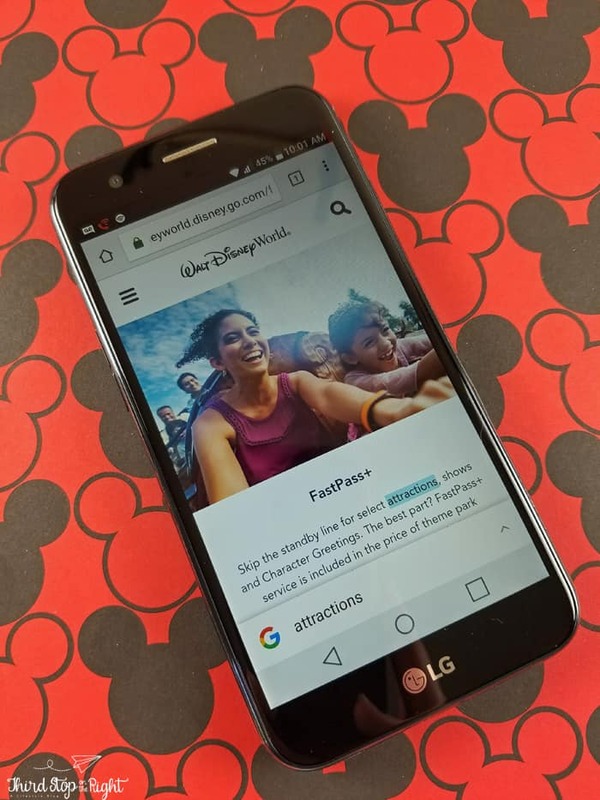 This time around, I realized how vital a smart phone actually is for the Disney experience. 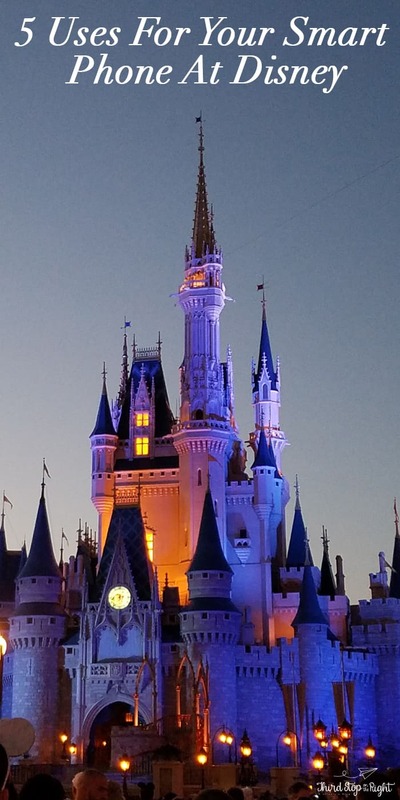 Sure, you don’t need a smart phone to enjoy the magic of Disney but having one definitely makes it easier. And in a trip that requires so much planning anything to make it easier is a plus. Download the My Disney Experience App. This is a free app created by Disney which will help you organize so many aspects of your Disney trip. It can help you manage your FastPass+, see ride wait times, find dining, find characters, and even see event times. You can also view a map of all four of the parks. This app really was essential to keeping the day’s activities organized. Plan FastPass+ ahead of time. FastPass+ is an aspect of your trip to the park that allows you to ship the line at some of the parks’ most popular attractions. You are only allowed to reserve time slots at three available rides each day so it is important to plan ahead in order to get on the rides you want most. Thankfully this is also easy to do on your phone with the app. Remember key details. The parking lot at Disney can seem like a sea of vehicles. Just hitting your car alarm button will do you no good if you have no idea what section you parked in. After parking, take a picture of the character and section you park in so you can find your car easily later. Keep track of time. Time is very important when you are in Disney. Whether you are truing to keep track of your FastPass+ times or remember events, setting alarms on your phone can be super-helpful. It can be easy to lose track of time in the excitement, so alarms are a good reminder. Take lots of pictures. 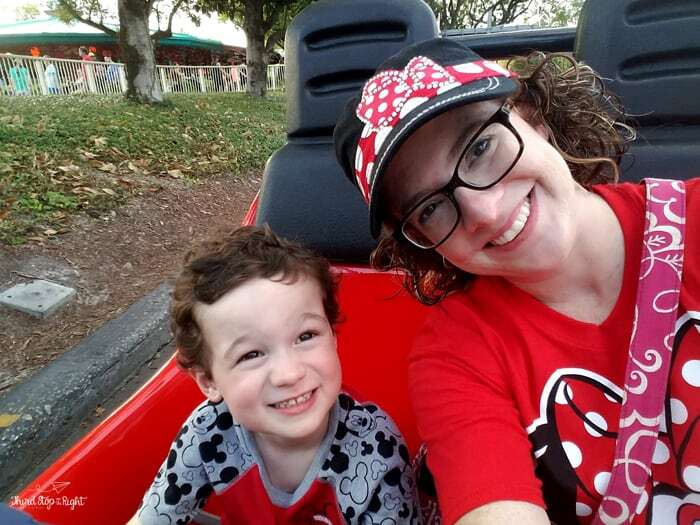 For some, a trip to Disney is a once-in-a-lifetime opportunity. This means that you should be sure to take as many pictures as possible to remember the experience. This can include family pictures at the Cinderella Castle, Epcot ball, Chinese Theater, or even the Tree of Life. It can also mean pictures with the characters or even just selfies with the kids. Whatever you are taking pictures of, be sure to take a moment to capture your memories. 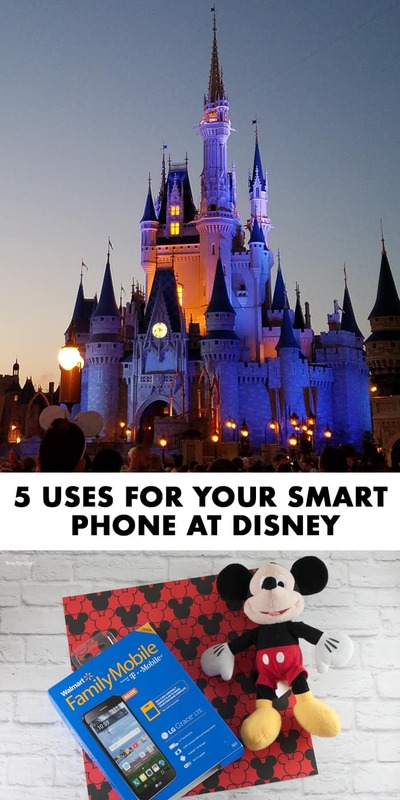 While having a smart phone is a great tool to have at Disney, the network is also extremely important. 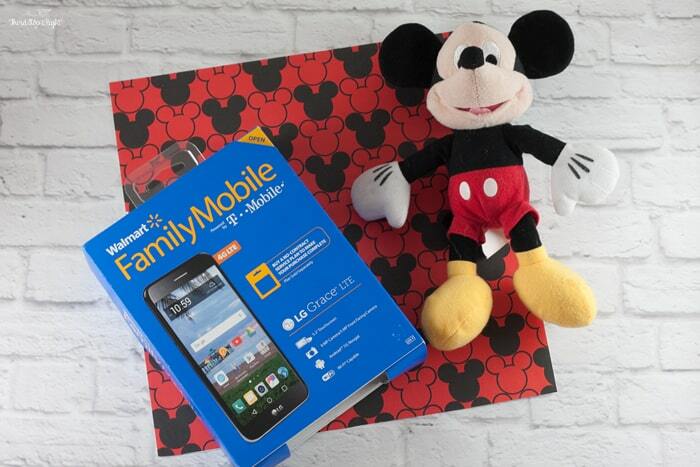 This is why I was so glad that I had Walmart Family Mobile for our trip. In fact, I knew that I would be using a lot of data. Between entertaining the kids at the airport, using the GPS for directions, or using the app to organize the trip to the parks I would have gone through all my data on a regular plan pretty quickly. This is why I upgraded ahead of time to Walmart Family Mobile’s $49.88 PLUS monthly plan, powered by TMobile’s Nationwide 4G LTE† Network. This plan features no contracts and no activation fees as well as Unlimited Talk, Text, and Data which includes up to 13 GB of 4G LTE† data (then 2G*), plus a free VUDU◊ movie credit every month for every month you renew($7 value). * This ensured I would have more than enough data. In preparation for the trip, I decided to upgrade my phone to the LG L59 – Grace phone. This phone features a 1.4 GHZ Quad-Core Processor, 5.3″ touchscreen, and 8 MP camera. You can purchase the LG L59 – Grace, as well as sign up for the $49.88 PLUS plan in the electronics section of your local Walmart. 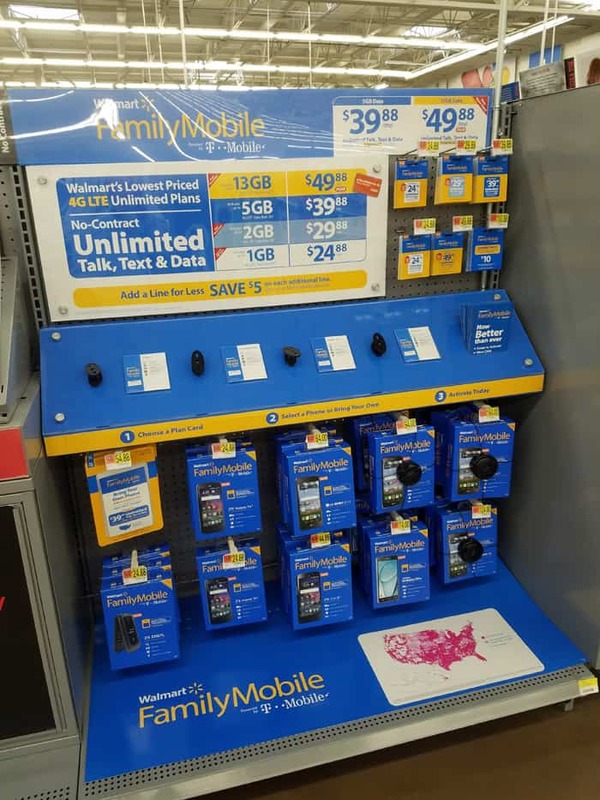 Just look for the Walmart Family Mobile signage. For more inspiration on making your summer better with Walmart Family Mobile, check out the Social Hub. Comment On: What are some of your tips for using your smart phone on family vacations? All prices for phones and plans included in this post are accurate as of the date of posting; however, these prices are subject to change. Please refer to this page or your local Walmart for current pricing.